Casey Peck had never prayed so hard. Four people fleeing their flaming cars pounded on the firetruck's doors and were pulled inside, including a nurse from a nearby hospital with her pant leg on fire. The firefighters pressed fire-resistant blankets against the truck's windows to provide insulation against the searing heat, and waited out the firestorm. "Faith," Peck said Saturday as he came off a 48-hour double shift. "I don't think I've ever prayed that hard in my life." The fire that leveled the town of 27,000 people and claimed at least 23 lives roared in so fast that for the first 24 hours, there was virtually no firefight at all — just rescues. They mostly had to watch Paradise burn around them; the opposite of what most firefighters are used to doing. "It's not an understatement to say that you got your butts kicked" during the initial fire run Thursday, Cal Fire Butte County Unit Chief Darren Read told assembled firefighters Saturday, pausing several times to gather his emotions. "We had very little time to evacuate our communities, the people were trapped in their homes and their cars, their houses," said Read, who doubles as Paradise fire chief. "And you guys saved the lives of thousands of people in our communities. Truly heroic efforts." Cal Fire safety officer Jack Piccinini warned firefighters Saturday to watch out for "emotional fatigue" and said many who lost homes themselves in the series of devastating wildfires "were just kind of stunned." "Between last year and this year, all of you have been on fires where you have seen communities experience devastating losses, not just property damage but also civilian fatalities as well as firefighter fatalities and serious injuries," Piccinini said. At least 36 firefighters lost their own homes, most in the Paradise area, and dozens more likely burned, said International Association of Fire Fighters state service representative Tim Aboudara on Sunday. At least three firefighters' homes were confirmed lost in a Southern California blaze south of Simi Valley. The confirmed losses affect more than 110 family members and 75 pets, but all are believed to have escaped with their lives. The union is providing financial and emotional support to the affected firefighters. It was the worst fire Thor Shirley had seen in 18 years as a Nevada City-based Cal Fire firefighter. "It was round-robin trips, just pulling people out of their houses or people trapped on the road," he said. "It was just scoop 'em up, load 'em up and go." 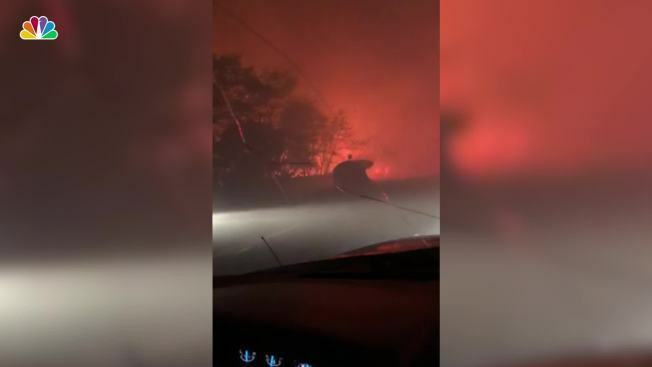 His crew rescued 14 people, including several who were bed-ridden, three nurses, a doctor, a sheriff's deputy and a California Highway Patrol officer. "At that point the only thing you can do is protect life. ... It's frustrating because you want to save property and lives. You just have to readjust what you do, conditions dictate the tactics — to save people's lives is our No. 1 goal." Peck and Shirley, who work out of separate fire stations, were each halfway through breakfast Thursday morning when the emergency call came in. Hours later their engines were caught in the same traffic jam as cars ignited and trapped firefighters and fleeing residents alike. They all might have burned right there were it not for a Cal Fire bulldozer operator who "saved our bacon," Peck said. The bulldozer plowed flaming vehicles out of the roadway to clear a lane for the fire engines and several dozen vehicles to move to a grassy area that the bulldozer had scraped down to fireproof mineral soil. They all stayed in the makeshift refuge until the worst of the fire passed. "Every year you do this, things just add up and you kind of numb yourself to it," Shirley said standing by his truck, his eyes bloodshot, his hair disheveled, 48-hours of stubble freckling his face. "But every once in a while it's just like right off the Richter scale."